The fall months are prime hunting season in Colorado. If you’re a hunter in Colorado, would you know what to do if you or a friend faced an injury in the field? If not, Bristlecone’s upcoming Casualty Care and Rescue Class can prepare you. To accommodate the needs of our local hunters, Bristlecone is offering a four-hour training class in Casualty Care and Rescue on Sunday, October 22. This class will provide hunters, sportsmen, and shooters with the general knowledge, skills, abilities, and attitude to treat injuries received from severe penetrating and blunt force trauma. From a negligent discharge at the range to cutting yourself dressing a deer in the backcountry — the ability to provide rapid trauma care to yourself or buddy can mean the difference between life and death. Bristlecone will look at the current Tactical Combat Casualty Care Guidelines and show you how the same skills can be applied in the civilian setting. The course includes real-world examples so you can have the knowledge and proper tools to deal with severe trauma. The course will cover TCCC history, preventable traumatic death injuries, human factors, the three phases of TCCC, rescues, hands-on skills, and scenarios. Bristlecone requires a minimum number of three students to have the class or it may be canceled or rescheduled. The cost is $80 per person. 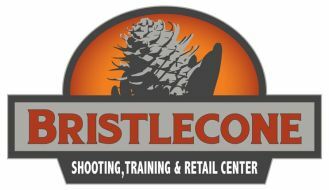 To register or learn more visit the Bristlecone Shooting Training page or call 303-985-0989.